It's true that Patinkin and her counterpart, Agatha Kulaga, spend countless hours dusted in flour, piecing together their next confectionary masterpiece -- but at the same time, their small, ambitious baking company, established eight years ago, distributes some 6,000 pastries to over 160 venues across New York, daily. They’re not hobbyists. They’re business owners. In its earliest form, Ovenly operated out of a rented half-oven in a pizza shop kitchen. Now, the company has laid roots in a commercial kitchen in Greenpoint, Manhattan and Park Slope bakeshops, and as of March 3, a Williamsburg location. “We are not necessarily business-minded -- we started out as bakers,” Kulaga said. “But we’ve learned a ton. And now we’re building an enormous bakery empire.” The women create jobs for political refugees and the formerly incarcerated, minimize their landfill-bound waste, and guarantee maternity and paternity leave to all employees. Yes, they are truly prodigious bakers -- that is the foundation of their company. But they are also brilliant entrepreneurs, with a successful bakery franchise to show for it. Fortunately, Patinkin and Kulaga are part of a growing trend. The slew of lady-led businesses in New York is comparatively impressive on a national scale: New York has the country’s largest number of women-owned businesses by far, nearly double the number in second-place LA. Per a 2017 report by Ventureneer, 39% of US firms are currently run by women, which is no small sum. But still, 90% of America’s women-owned businesses have no paid employees, and as a whole, they contribute only 4.2% of the country’s total private business revenue. In short, it’s not enough. And March 8 -- International Women’s Day -- is your chance to do something about it. Yes, the holiday is geared towards celebrating female accomplishment, but more so, it’s a call to action. It’s been a hell of a year for women all over the country, and the 8th is your invitation to pay attention to what they’ve created -- and to show your support. In addition to the fearless founders of Ovenly, here are a few of the brilliant, accomplished New York women you should celebrate on International Women’s Day -- and every day after. At the epicenter of Williamsburg’s tirelessly hip main drag, Catbird is your local cool-girl jewelry brand. The narrow shop, lined with rows of knuckle rings, stackable pendants, and various home goods trinkets, has been drawing a notable crowd since its 2004 founding. 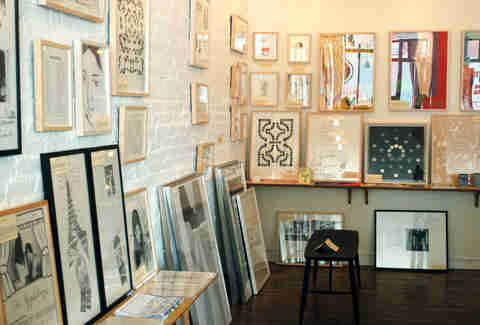 Half curated products, and half original pieces, the place has garnered a cult following. At the helm of it all sits Rony Vardi. Previously a graphic designer and a seamstress, Vardi never intended to own a shop. But after stumbling upon a shabby storefront on Metropolitan Avenue, she dumped her savings into purchasing the space on what she calls a whim. She opened the shop with a stock built of clothes and products from various vendors and designers, but before long, her own jewelry designs became the shop’s premier products -- and thus a jewelry brand was born. After a move to the current Bedford Avenue location, Vardi opened a wedding annex and a private workshop, which puts out as many as 700 pieces of jewelry daily. “In the beginning, the actual store was set up to constantly evolve through trial and error,” Vardi said. “Even today with the Catbird brand solidified, there’s a constant stream of factors we have to be able to anticipate and manage.” In the early 2000s, Varni began wearing a toe ring she had purchased from a street vendor in the East Village around her knuckle. Years later, similar knuckle rings have become one of the store’s top-selling trademarks. In a city more gray than green, The Sill is an oasis of vegetation. 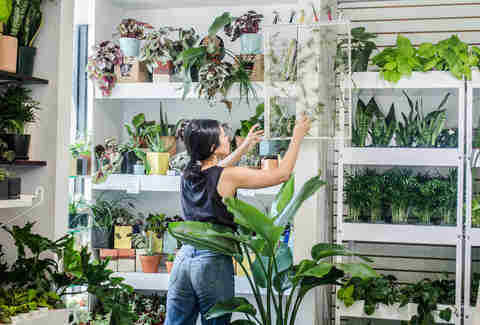 The overgrown plant purveyor maintains locations on both the Upper West Side and in Chinatown, while conducting the vast majority of its business online -- selling Instagrammable plants optimal for tiny, low-light apartments. 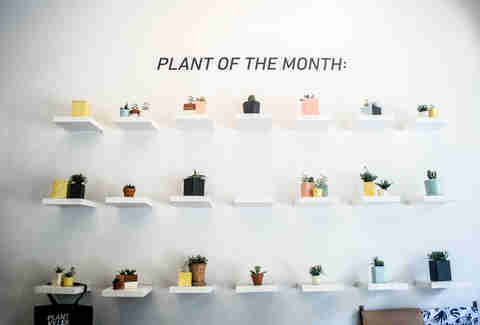 The brick-and-mortar locations offer planting workshops and courses, consultations for better plant care, and a helpline for plant-related emergencies. Raised in rural Massachusetts, The Sill founder Eliza Blank felt starved for plants when she moved to New York. 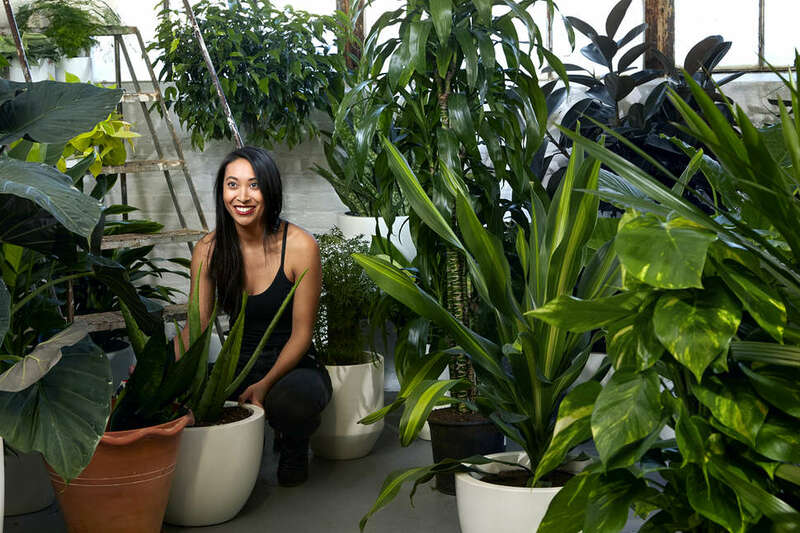 After graduating from college in the city and working for two years as a brand strategist, Blank veered away from her burgeoning career to contribute some green to the city. Founded in 2008, Milkbar is an enormously popular bakery chain, best known for its crack pie and cereal milk soft serve. The brand began with support from Tosi’s then-employer David Chang of Momofuku, before catapulting its way to the top of the trendy dessert scene in a matter of months. Back then, Tosi worked in operations for Chang by day, and baked late into the night, bringing her most delectable creations into Momofuku in the morning. Soon, Chang gave Tosi space to sell her goodies -- and she went from restaurant employee to CEO in a year. In the simplest of terms, Tosi just wanted to bake. It was the one thing she wanted to wake up and do every morning without lapsing into a state of unambitious malaise. “It’s an all-out test of endurance every day,” Tosi said, “and I love it. I embrace everything -- especially failure.” Now, she sits at the helm of 13 locations, nine of which are in New York. It’s hard not to love McNally Jackson. 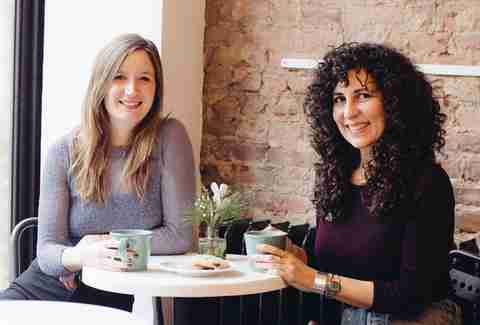 The Wi-Fi-free indie bookstore and cafe, replete with its very own printing press for aspiring authors, is a refuge from crowded book warehouses like Barnes & Noble or the Strand. It’s small, carefully curated, and delicately assembled, with a staff so full of hearty recommendations you may never need to select your own reading material again. But as charming as the bookshop itself are its two spin-off locations: Goods for the Study and the Picture Room. 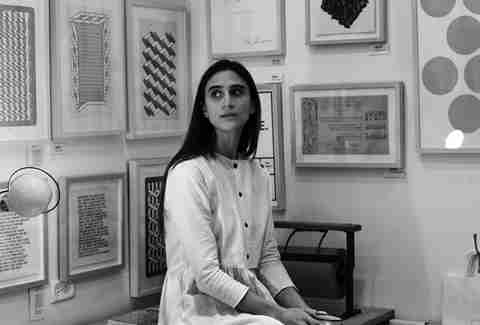 After Sarah McNally opened her literati home base, she decided to create an outpost with her co-conspirator, Sandeep Salter: Goods for the Study. Born out of the desire to find a place especially for gorgeous stationery items, the shop is exactly as it sounds -- a flawlessly organized room lined with pencils and pens and an enticing array of planners and notebooks. After creating creating and co-founding the space, however, Salter broke her partnership with McNally in order to focus more fully on Picture Room. In its original iteration, Pies ‘n’ Thighs could have fit inside a spacious walk-in closet. In 2006, Sarah Sanneh and partner Stephen Tanner took over a beer storage closet in Williamsburg and jammed a few vinyl stools against a countertop that faced a pleasantly sweaty open kitchen. Soon, the spot’s trademark delicately crispy, exceptionally salty fried chicken, served alongside remarkably decadent pies, earned the venue a reputation that transcended its humble quarters. But the New York City restaurant industry can be unkind to even the most popular newcomers. Two years after it opened, the humble venue shuttered, and Sanneh’s business partner split. Sanneh hung in there, and in 2010, with new business partner and co-owner chef Carolyn Bane, she pulled Pies ‘n’ Thighs back from the ashes in a new location, just a few blocks away. With a new team behind her, and Bane by her side, the restaurant’s second life is an overwhelming success. 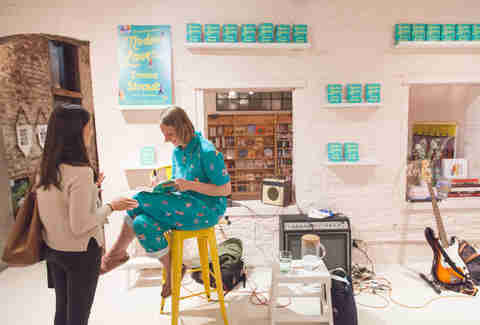 Last year, as residents of Cobble Hill mourned the closure of Smith Street’s Book Court, Emma Straub swooped to the rescue. And while Books Are Magic no longer bears the name nor the classic aesthetic of its predecessor, the newly renovated independent literary community space pays sufficient homage. Author of renowned bestsellers The Vacationers and Modern Lovers, and a former Book Court employee herself, Straub was a natural choice to take charge of the vacant bookshop. With the blessing of the shop’s prior owners, she opened up her take a few blocks away from the original location. 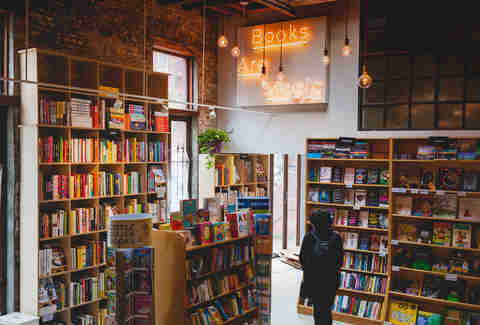 The spot is as much a community literary home base as it is bookstore, hosting readings, release parties, and talks with the likes of Jesmyn Ward, David Sedaris, and Lauren Groff. Straub spends several days a week curating the store’s selection, organizing events, and offering recommendations to customers, while simultaneously raising two kids at home. Eliza Dumais is a lady. Follow her for proof @elizadumais.